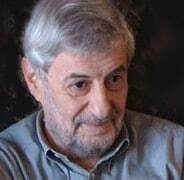 The Bolshoi website reports the death of Valery Leventhal, a stage designer at the theatre from 1963 and head of stage design (chief artist’), from 1988 to 1995. He was 76. He revitalised the look of Bolshoi opera in Boris Pokrovsky productions. His sets included Tosca and Butterfly, Prokofiev’s Semyon Kotko (pictured), Betrothal at the Monastery and The Gambler,Shchedrin’s Anna Karenina, Dead Souls, Seagull and Lady with the Lapdog and much else, including many ballets. 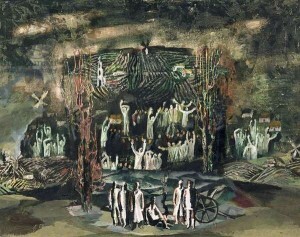 He also created a department of stage design in Moscow.